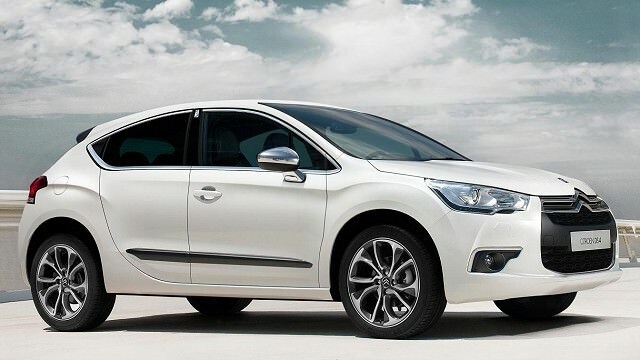 The DS4 is a Citroen C4-derived hatchback that the company somewhat ambitiously refers to as a coupe. The DS4 is a Citroen C4-derived hatchback that the company somewhat ambitiously refers to as a coupe. That it’s a five-door hatchback rather betrays that untruth, though it’s undeniably an eye-catching one. In 2016, in line with DS becoming its own entity, the Citroen DS4 became simply the 'DS 4'. It underwent a considerable upgrade, but is still essentially the same car. Confusing things further is a Crossback model, which adds slightly higher suspension and some more butch looking and contrasting trim for a pseudo-crossover. The DS4, somewhat unsurprisingly, borrows its engines from the regular Citroen line-up, with a choice of a 1.2-litre 130hp petrol engine or three turbodiesel choices. The diesels are either 1.6- or 2.0-litre in capacity, with power ranging from 110- to 180hp. Automatic and manual transmissions are available on the diesels, with the single petrol choice limited to a six-speed manual gearbox. As with the rest of the DS line-up, the DS4 majors heavily on style, much like Citroen itself used to. Marketed as a coupe it’s actually a five-door hatchback, though the rear lines and hidden rear door handles do hide that a bit. Such is their design that the rear door windows cannot be opened conventionally, popping out at the back instead, much like you’d get in an inexpensive city car. That’s a huge oversight, and does rather knock DS’s premium ambitions. Still, the cabin’s nicely finished up front, though the dashboard is a bit fiddly to operate. To drive it’s decent, if unremarkable, Citroen oddly giving it a ride quality that’s overly firm, when a soft, cushioning ride was once a Citroen signature. The diesel engines are strong though, with good economy and emissions, while the upmarket intent means that even the entry-level Elegance models come decently specified as standard. The Crossback adds some pseudo off-road looks, though in reality it adds nothing more but expense, and a slightly different look outwardly. We’d be hard pushed to recommend anything other than the 1.6 HDi turbodiesel engine combined with a manual gearbox. The shift’s fine, the economy and emissions decent and the performance more than adequate for most.